The actual rating I have for this book is 3.68 stars out of 5, but I rounded up because I do think that people will really like it, it just wasn't all the way there for me. Need is a nice break from the average stories that involve fey or fae or faeries or the Shining Ones or whatever else people have called them. It emphasizes the aggressive and primal nature of the creatures that is lost in some other stories due to romantic elements, which I really appreciated. Not that I don't like those romance faerie stories, but books like this help keep things interesting and me invested in the genre. PLOT: The plot was really good. I had a vague idea of where it was going, but then it didn't go that way, and I saw what was really going on. I thought that the king was going to choose her, that he wanted her to be his queen, but then it turned out that he was only using her as bait for her mother and that was something I haven't really read yet- at least not in a way that I couldn't see or predict. The main issue that I had with this plot line was that various characters would suddenly know things about the others, without talking to each other. It would be suddenly, bam! there's background information being brought up by a character that shouldn't know yet what they were talking about. It actually got a little confusing because of this. CHARACTERS: I am not entirely sure why, but I just couldn't get a super strong attachment to the characters. Maybe it's her writing style....? I can't place my finger on it, and it's bugging me. 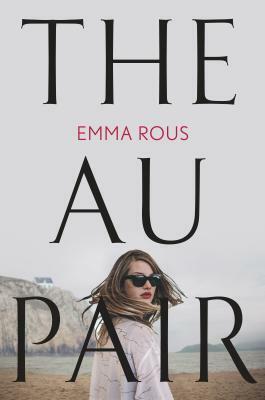 There was also some insta-love between the characters which, I know that there is only so much space in a book, but it was slightly frustrating because, again, I couldn't really get a feel for the characters so the whole thing felt rushed and unfounded. The people themselves have interesting backgrounds and personality traits. They all have something that is unique to them that don't usually come up in other books. WORLD and WRITING: I love Maine. I love stories that take place in Maine. I love watching characters adjust to ice and snow (it's hilarious). This world was no exception. I loved how Carrie Jones included elements of the town and forest and weather into her story and used it to round out the plot line and characters. Her writing though I still haven't figured out why I am not connecting with it yet. It's a strange feeling, not being able to pinpoint why exactly that is, so, not going to lie, it is throwing me off a bit. 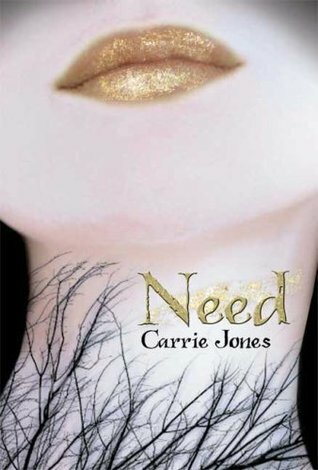 Need by Carrie Jones is good for people who love fae, Maine, and an interesting plot line. My own misgivings may be only my own, so don't let them hold you back from picking up this book. :) Plus, do you see that cover???? It's gorgeous!!!! !